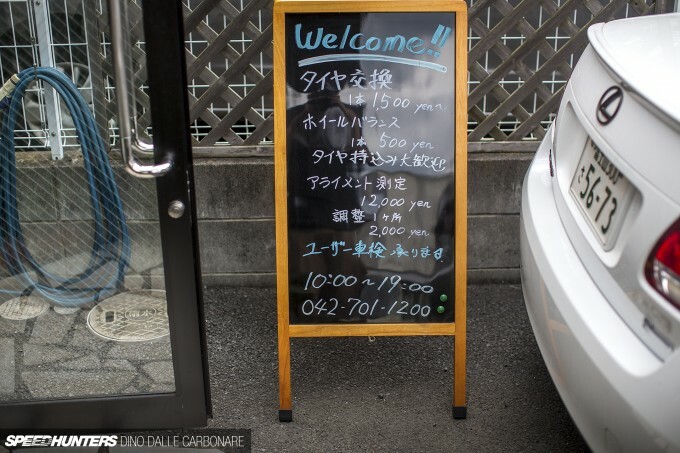 I often get asked why the Japanese tuning scene has changed so much. It’s an odd question and I usually answer it in the same way, saying that things haven’t really changed but rather evolved, and that the movement hasn’t gotten smaller but rather expanded. 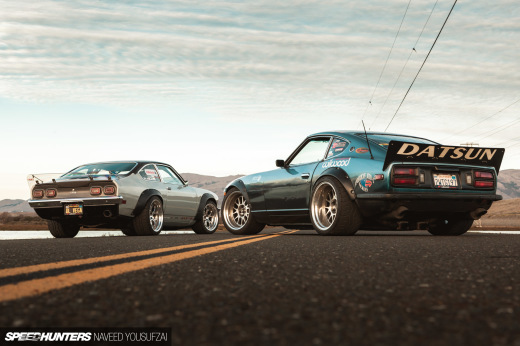 You see, if you just take a passing glance at JDM car culture right now you might conclude that it’s heavily geared towards looks – the so-called dress-up and stance movement. But you know what? That’s not really the case. 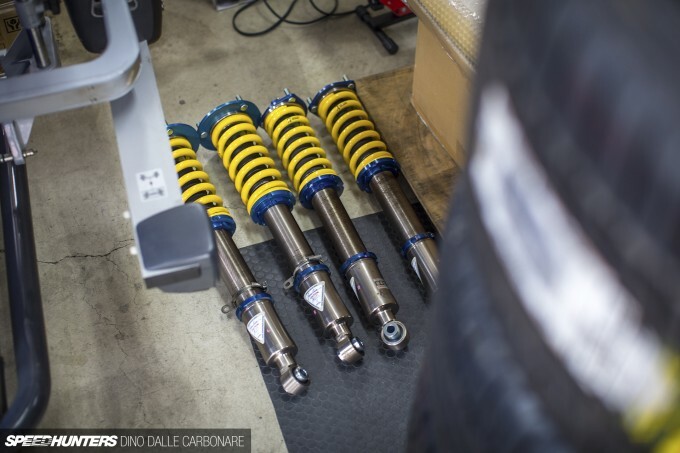 Stance and its various spin-offs are definitely enjoying popularity in Japan, but really, it’s just another way to tune your car. 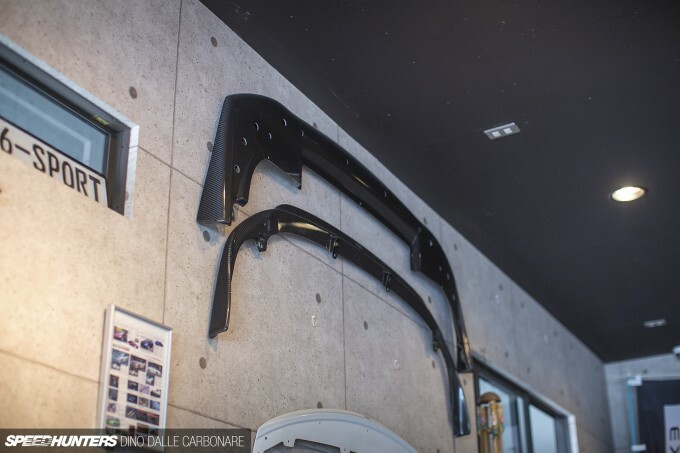 Believe me when I tell you that there are still mad time attackers building track cars in their garages and wealthy business commissioning big-power project cars for high speed Wangan use. 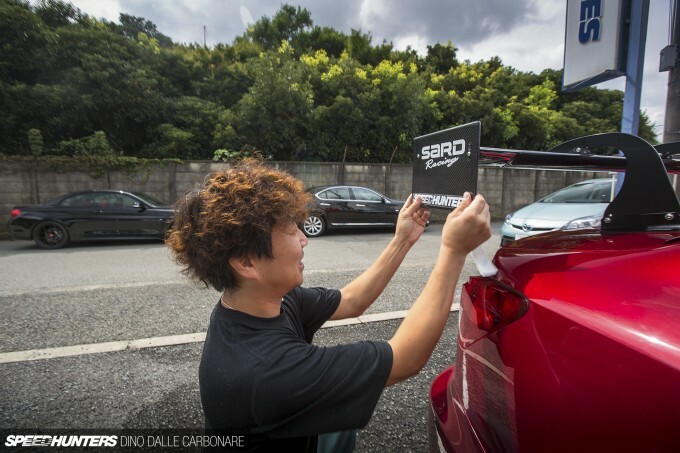 In my opinion, ‘stance’ is a broad term – especially in Japan where it’s used to describe any car, be it created for drift, street, VIP or grip. The fact of the matter is, no matter what sort of ride you are building for whichever discipline you may be partial too, the way the car sits and looks will always be an important aspect. And what if looks are the only thing you are shooting for? You may be spicing up your daily driver or the family hauler – it’s not always just about performance. 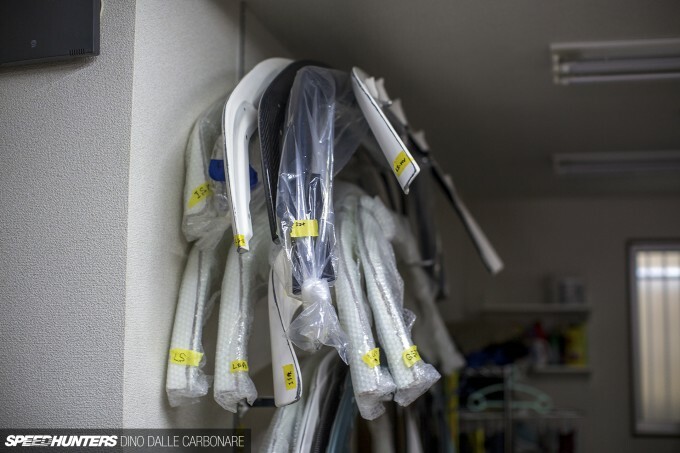 Style is at the heart of a lot of the stuff we cover in Japan, and we love it all just as much as the hard-hitting track-oriented stuff. So, if for example you are in Japan and into Lexus, you would head to a specialist like the shop were are visiting today: Lexon. Takemi-san, the man behind it all, set up his business 10 years ago, right at the time the Lexus brand was being launched in Japan. 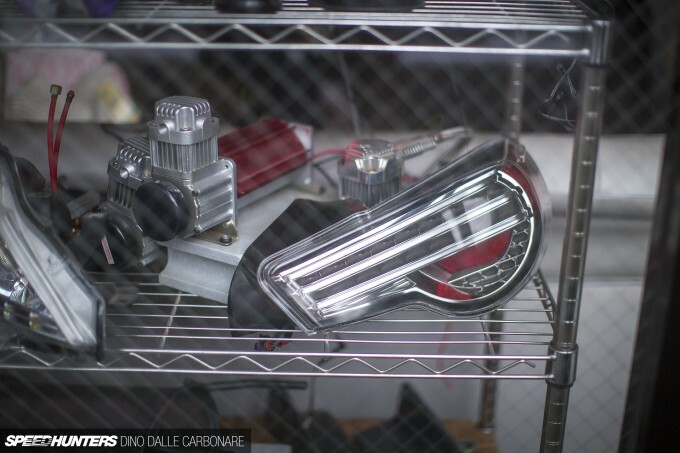 Since then he’s developed his own comprehensive line of dress-up parts, encompassing everything from simple lip spoilers all the way to wide-body conversions, as we recently saw with his IS F demo car. 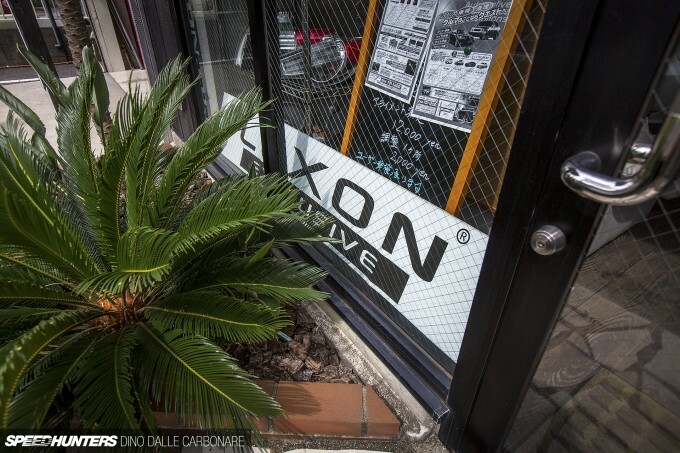 Located just outside Yokohama, Lexon is beautifully modern and somewhat representative of the style and stance-oriented movement. It’s also a very cool place to stop by and hang out at – something I always try to do when I’m in the area. 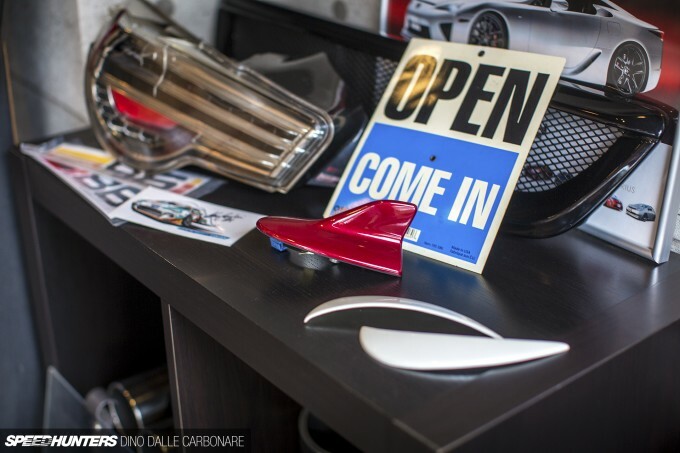 The shop portion is packed full of all sorts of goodies that are currently trending, and provides a place for clients to see what’s out there. Lexon has a strong link to Vossen, so it’s no surprise that a ton of its customers run the American brand wheels on their cars. Then, of course, there are the original Lexon bits and pieces. My favourite part has to be Lexon’s ZN6 taillights, which were fitted to Speedhunters’ MAXIMUMATTACK FR-S that won the Scion Tuner Challenge at SEMA last year. These units are available in two different versions – light or dark smoke – and really change the look of the car. If you don’t know what to do and how to execute it properly, Takemi is a master when it comes to getting a certain look pinned down. With the experience he has making Lexus of every type and generation look just right, he will know what to do no matter what your idea will be. 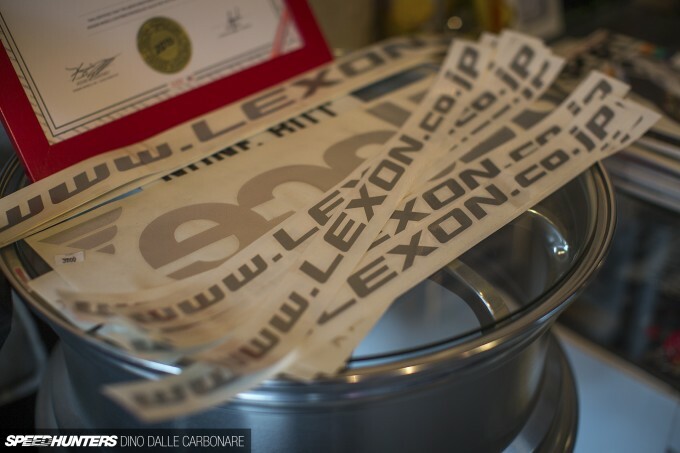 Lexon does a lot of air suspension installations – again something that is really growing in popularity right now. 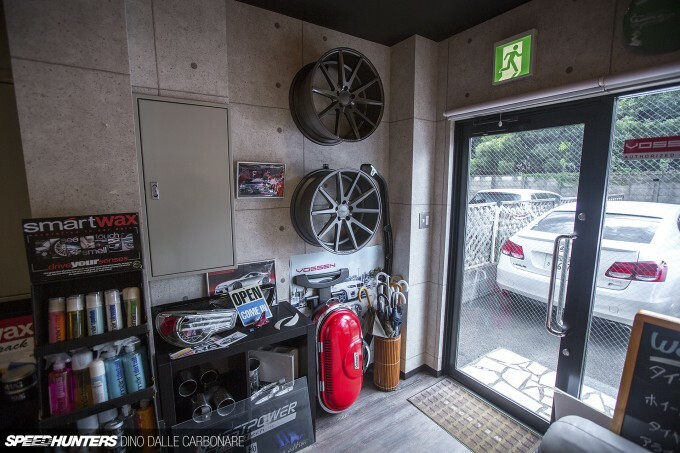 So getting that crucial relationship between wheels, tyres and fenders is what car guys go to Takemi for. At the same time they can check out what’s going on in the US scene, which is still very much a place of inspiration for many ‘stance’ fans in Japan. 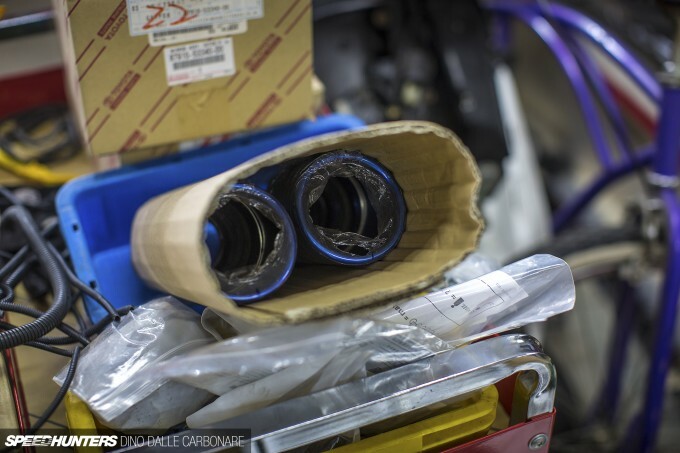 And vice versa too, because a large proportion of Lexon’s aero parts head across the Pacific. 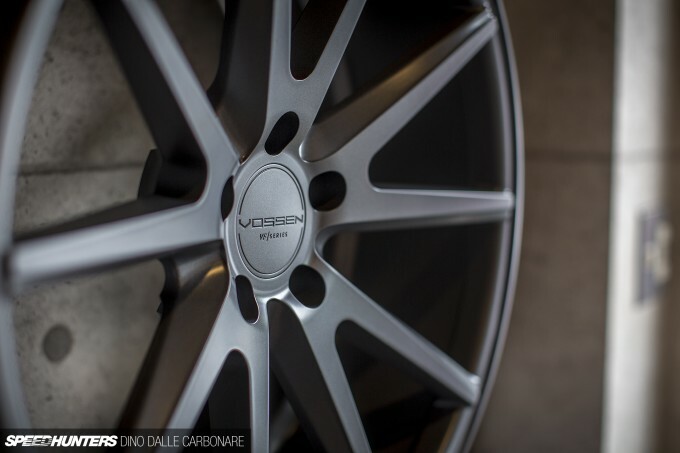 Being a Vossen dealer, Lexon has this curious-looking suitcase with the available selection of center caps on display. It’s a cool way to show how the wheels can be personalised to individual taste. 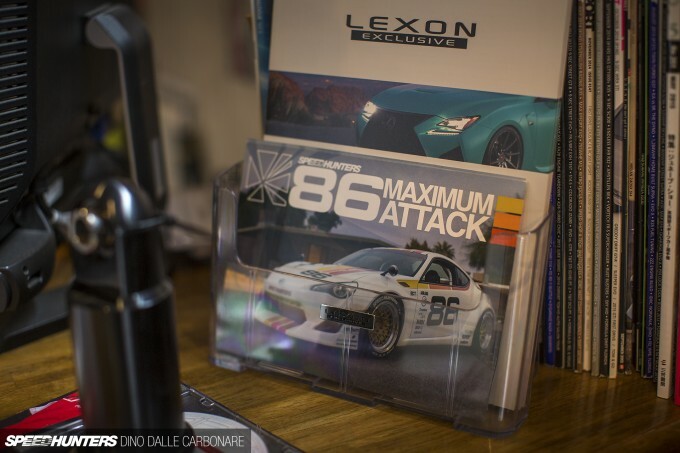 The main area of any show-oriented car will always be the wheels, so there are plenty of other catalogues from different brands floating around the main shop counter at Lexon. 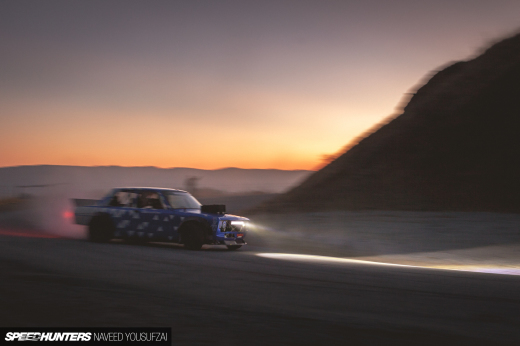 I once again started lusting over the Volk Racing ZE40s in the latest RAYS data book! 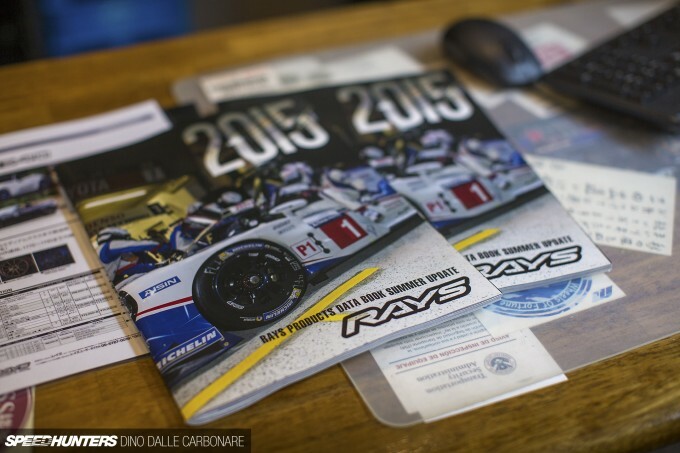 Incidentally, the Lexon RC F has just been featured in the latest RAYS catalogue sporting Volk Racing’s new G27s. It’s funny that I was thinking of our Scion FR-S when I was checking out the taillights, as I later found the brochure showing off the build and the KM4SH kit. 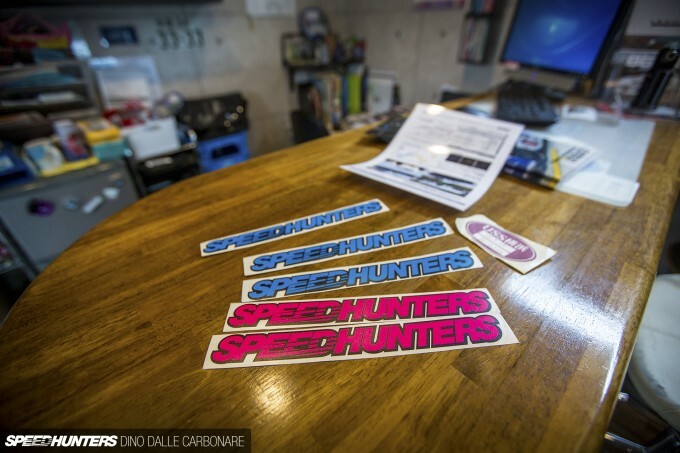 I replayed the love Takemi always shows us with some new pink and blue Speedhunters stickers. After chilling in the shop for a bit it was over to the garage portion of Lexon. It may not be a big space, but everything Takemi and his staff require to bag and stance a stock Lexus is right there. I was surprised at the massive opening in the ceiling, which is there to allow a big LS, or even an LX, to be lifted up on the hoist and a second car parked beneath. 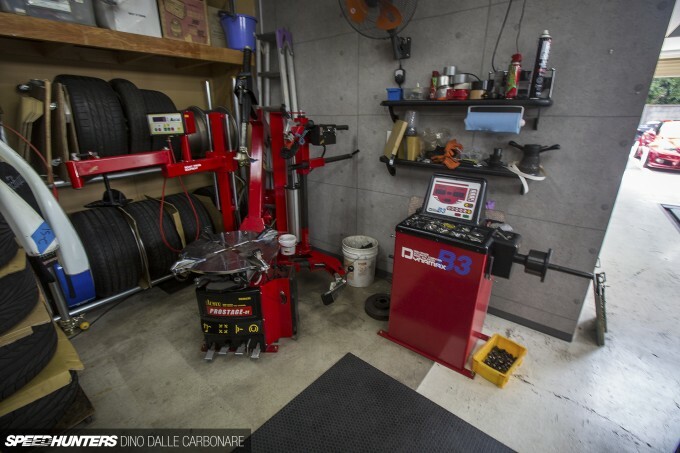 Around the corner is the tyre fitting machine and a balancer. 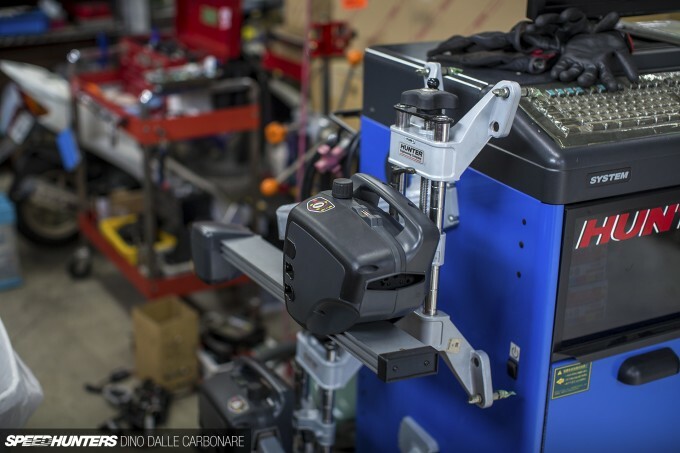 And, of course, a laser wheel alignment rig. This can be set up while the car is on the lift, with four units able to be fitted onto each individual wheel, no matter what size they are. While Lexon has many customers requesting their cars to be bagged, there are still plenty of others who prefer the static look. And this is when nailing the right size of wheel and offset is really important. The back of the shop is where all of Lexon’s aero parts are stored. As soon as an order comes in it’s quickly boxed up and sent away. 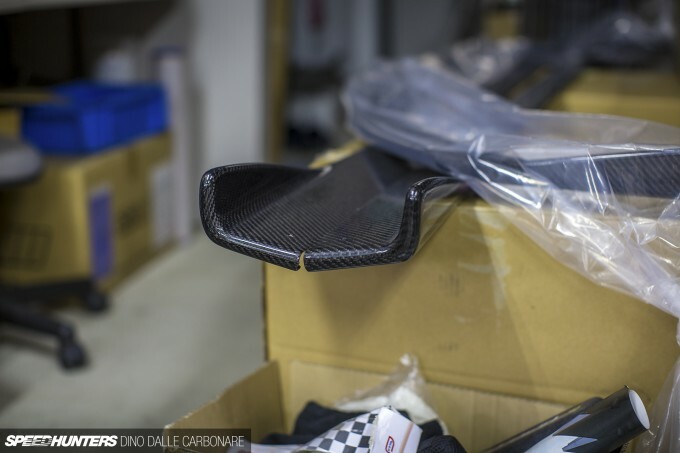 Lexon aero is available in FRP, but if you are really particular there are also parts available in carbon fibre. I spotted these shiny skirts ready to be boxed up and sent to their lucky owner. Takemi will also order any other part or upgrade you may require, so builds can be completed right there and then. 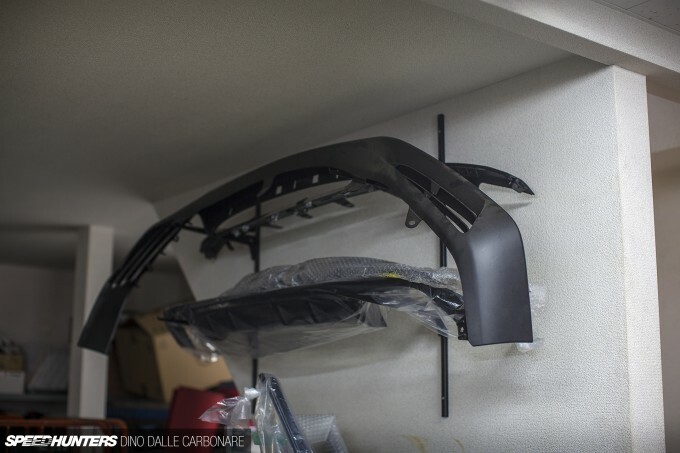 Takemi has recently put the finishing touches to a wide-body kit for the non-F version of the second-generation Lexus IS, and with more cars coming from Lexus this year – like the new RX, LX and GS F – he’s going to be busy designing and developing new parts. 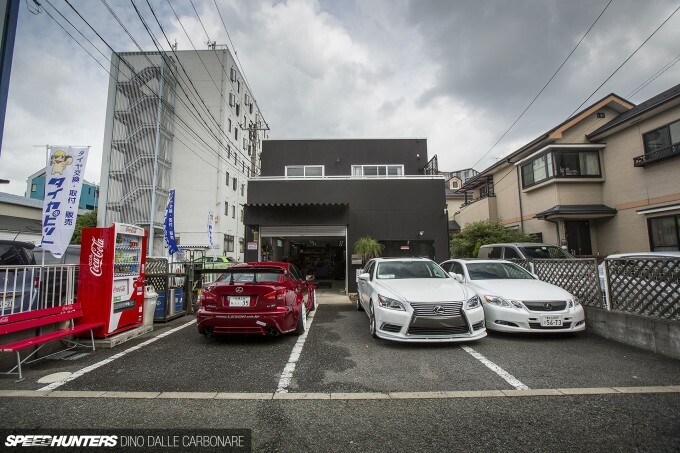 I love small Japanese shops like these; they are run on pure passion and dedication, yet manage to captivate lovers of stance the world over. 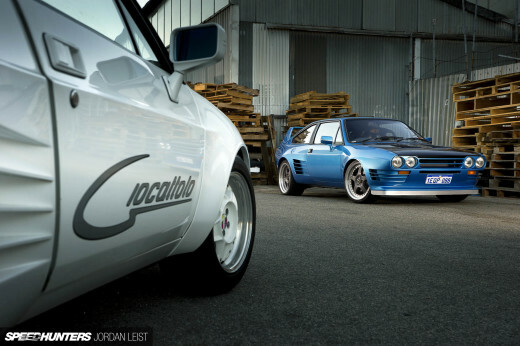 It doesn’t really matter what branch of JDM car culture you may be into, it’s hard not to respect places like Lexon – a true master of its craft. Does he does the body parts there in house? Ohh I need to add Lexon to my to go to shop list while im here.. I would pay top $$ for a RCF with some serious Super GT body treatment. 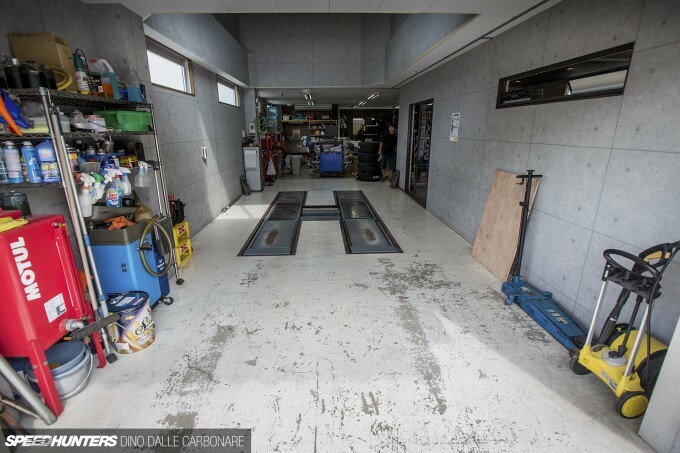 Give us more storise about garages and stores??? 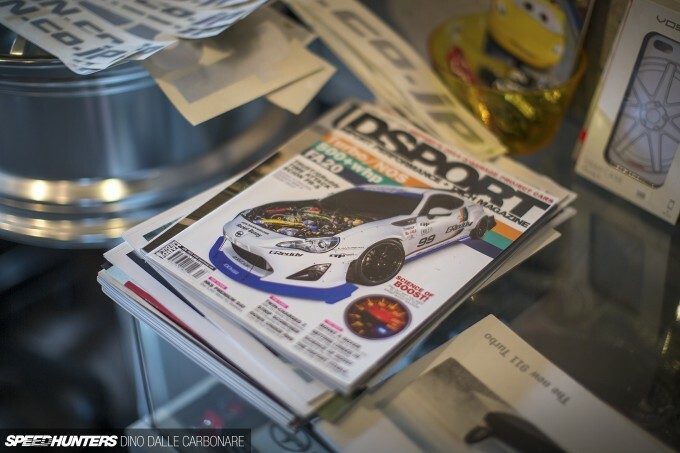 oh, and there's a brochure for the speedhunters fr-s? are you guys selling it? I love the garage posts. Have you guys been to Wald? I love the way you master blacks on the pictures ! What lens do you use Dino ? 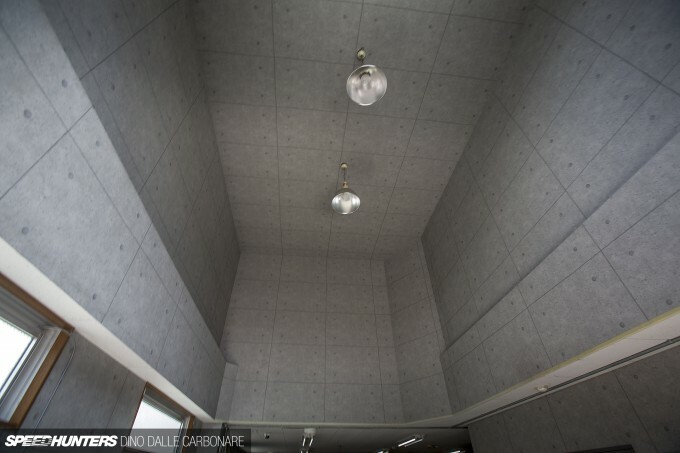 Is that building made of precast concrete blocks, or is that some type of concrete-look paneling on the inside? It's a really amazing look whatever it is. That gets my brain working for my upcoming garage build. 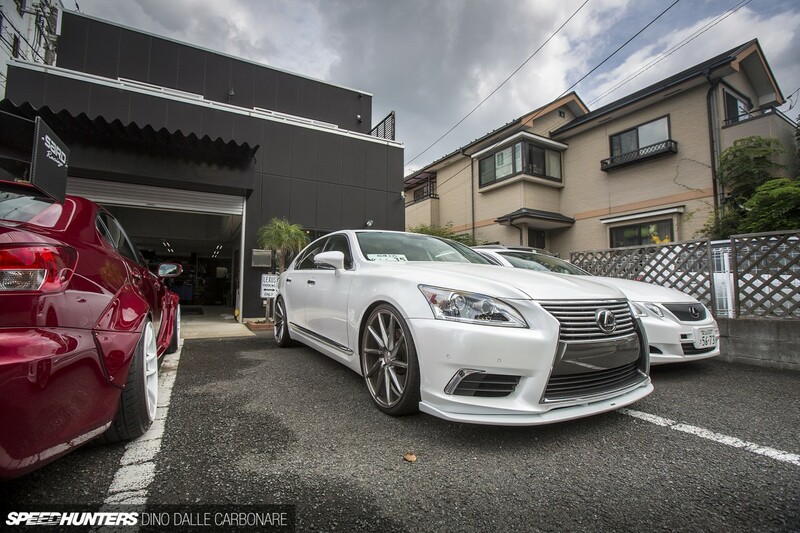 Is that a Lexus-badged Toyota Crown Athlete? Here in NZ we don't get the Crown Majesta/Athletes only the Aurion and Camry. I love that gen of the Crowns (as well as the 80s ones) as they just scream luxury and are really something a bit different from say a Mercedes Benz or 300C. 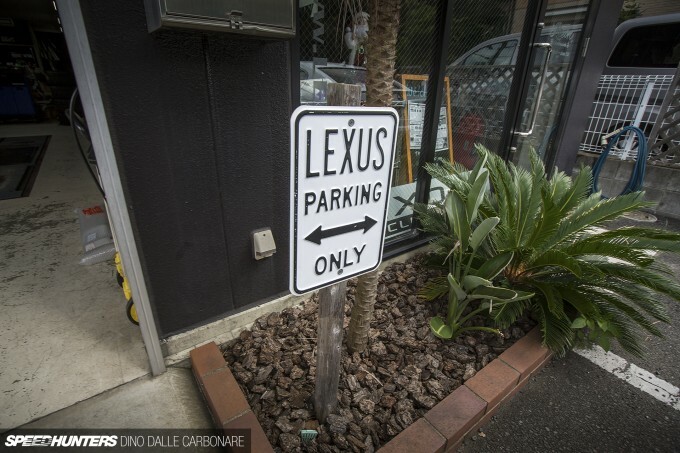 EDIT: I've seen that there are Lexus equivalents available here. I just love the 2013 Toyota Crown Athlete for instance. Its obnoxious front fascia is right up my alley lol. Others seem to be too 'toned-down'. @fabrik8 Looks like dry wall just painted to look like concrete. Most of the lines aren't completely straight. i spy with my little eye project drop top rocking the new awesome wheels! btw dino great pictures as always man! 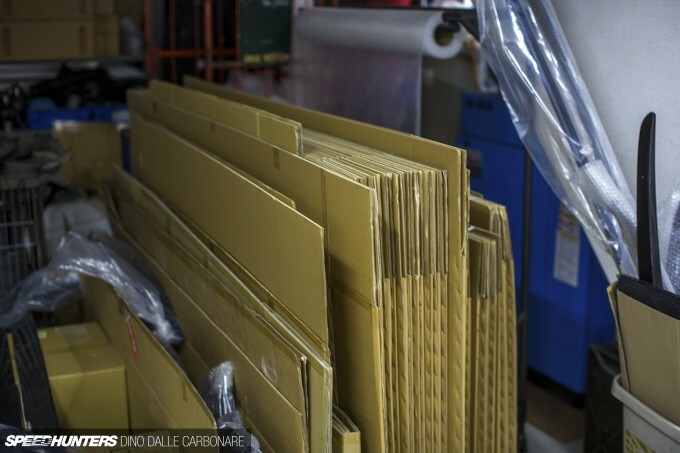 It's probably cement board aka Hardie Board in the U.S. Loved this story @dino. 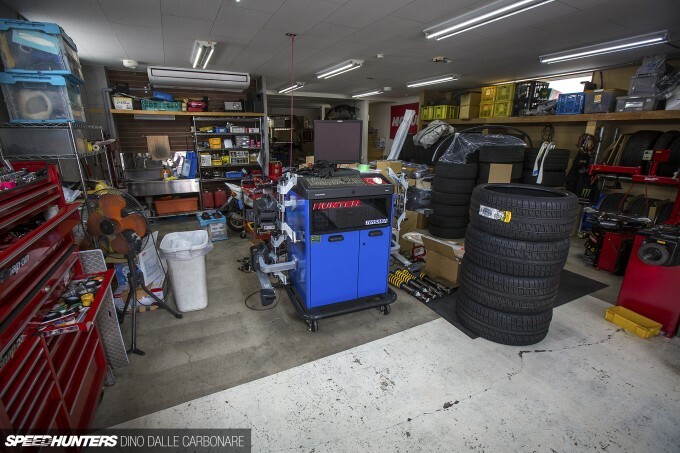 I've met Takemi a couple times here in the States so it's cool to peek inside his shop. I'm also very pleased to see the Tuner Challenge cards I mailed all the way to Japan are on display!